I love featuring other successful mom bloggers on my site. It’s wonderful to learn from others because it’s not all about me and my own techniques and strategies. This post is pretty special, because it’s one of the first posts I’m featuring that teaches a completely different Pinterest strategy than I use. If you’ve followed me for a while, you’ll know that I love and use Tailwind to schedule my pins, here is the Tailwind looping method I use. But I know Carly has *amazing* success with her special strategy below! And from time to time, I dabble in it too! I love trying new tips and tricks.  So if you don’t want to invest into yet one more blogging tool, but you’re willing to put in a little bit of work, Carly’s method is the perfect solution for you! And it will likely bring you thousands of pageviews too! Let me know in the comments below what Pinterest strategy you use! But I promise it’s NOT going to be the same as the other 62 “pinterest tips for bloggers” posts you’ve already read. It’s the week after Valentines Day, and it seems like this week – without fail – brings a crazy downward spiral in traffic from Pinterest… sending new bloggers everywhere into total meltdowns. You see the threads in every Facebook group – complete panic about declining traffic. We all remember (or have head of) “The Great Pinterest Algorithm Change of 2015” – when thousands of well established blogs dissolved into nothing; because they lost their Pinterest traffic. First of all, if your traffic is on a downward slide this week, I want to assure you that you are NOT doomed. This seasonal slump is normal, and you don’t need to panic. Traffic will come back – if you do Pinterest promotion the right way! So, what qualifies me to give you Pinterest tips anyway? 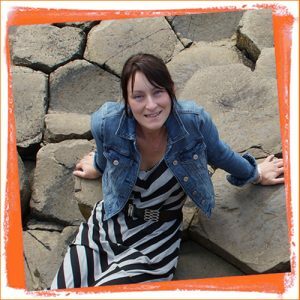 I’m Carly – 2 years ago I decided to start a blog so I could work towards my goal of being a stay at home mom. I was JUST pregnant, and figured I had a solid 9 months-ish to grow a blog into a full-time income (although, truly I had NO idea what I was endeavoring to do – seeing as how I never even taken a single computer class in high school). I did all the “right” things. I invested in a great blogging course, and set up hosting on WordPress. I bought a pretty theme, read through every “how to blog” article I could get my hands on, and wrote (what I thought) was awesome content. I put some pins into Tailwind, and scheduled a few with Boardbooster. Then I sat back and waited for the readers to show up. But…all I got was crickets. Where were my fans, my email subscribers, my INCOME? Could it be that blogging was no longer profitable? Had I wasted all this time… for nothing? I knew Pinterest promotion was supposed to be important… but on the other hand, everyone was saying that it wasn’t worth the effort anymore; not since the algorithm had changed. I just sort of figured the sad traffic I was seeing from my efforts was the new normal. Maybe I had started too late. But… when I visited Pinterest as a USER, I could see – very clearly – that BLOGS were what Pinterest was showing me. Some bloggers were obviously still getting traffic from Pinterest. I determined that I would focus VERY hard on Pinterest. 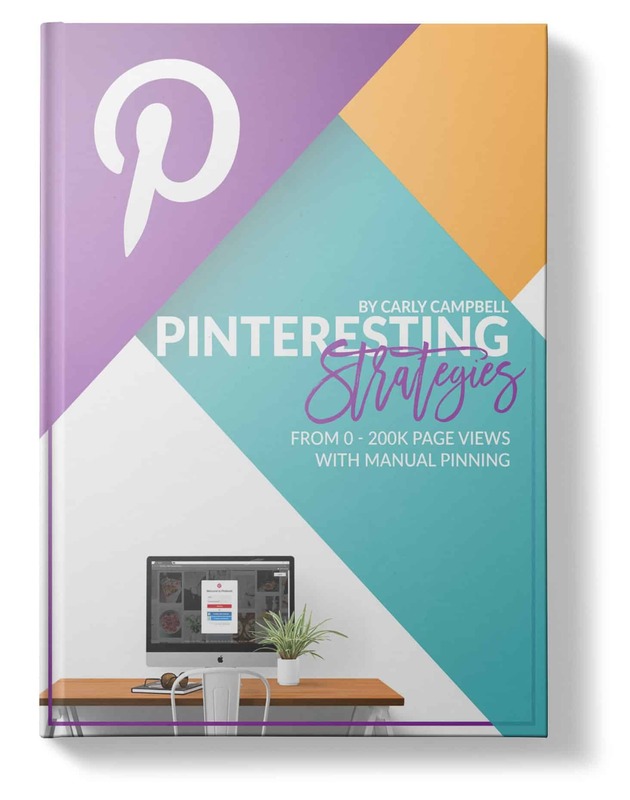 This is the super affordable ebook Carly wrote that covers the Pinterest strategy she uses to go from 0 to 200K page views in a year! Schedulers (like Tailwind, Boardbooster, Ahalogy etc) are one of the reasons that bloggers aren’t seeing amazing traffic from Pinterest. Not because the schedulers are inherently bad or that accounts that use them are punished, but just because when you are scheduling you’re not engaging with the platform or learning about what makes it work. 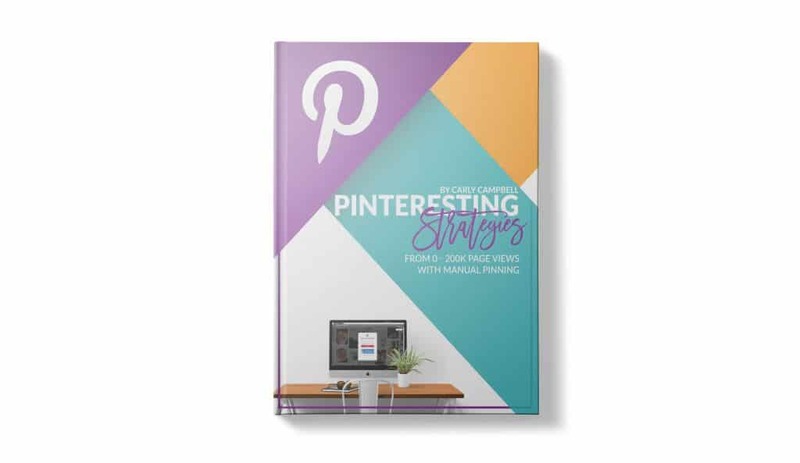 My blogging friends kept asking me to teach them what I was doing to get such great Pinterest traffic, so I wrote my strategy up in a book – that details how and why I pin the way I do. 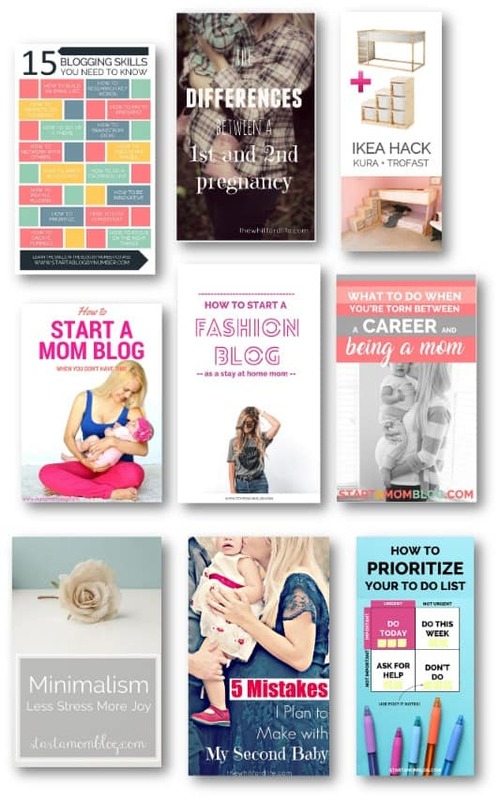 That book was just the beginning of what’s been an incredible blogging journey – I now make more than a full time income blogging from home while I stay with my kiddo – and I owe my success almost 100% to PINTEREST! This is probably the least detrimental of the terrible “Pinterest sins” we are going to talk about, because it doesn’t actually hurt you to spend hours creating pretty board covers or trying to drag your boards into place. But, it does waste a whole lot of time that you should be spending doing things that matter. Regular users (almost) never SEE your board covers or even your profile page. They aren’t in there checking out your branding on Pinterest. They are clicking in and out of articles that go by them in their feed – either things Pinterest thinks they might be interested in, or things that they’ve searched to find. Users don’t care what order your boards are in, or if they have a cute on-brand board cover. The frustration I see from bloggers every time Pinterest changes something that affects board covers would almost be funny – if it wasn’t so sad. Just let that go, and focus on what DOES matter on Pinterest. Speaking of branding on Pinterest, it’s fine if you have a strong brand and want to be true to it – I get that – but know that by sticking to ONE style of pin, you could easily be losing out on alot of traffic. Pinterest uses a number of means to determine what a pin is “about”, and where that pin goes in the algorithm. The visual cues Pinterest takes from your pins are very important, at least, if you want your pins to rank in their search and get prime spots as top recommended pins. If you create pins that only have ONE look, you may well be limiting them to appearing in just ONE area – or one corner of Pinterest. Note from Suzi – These are some of the pins I’ve created over the years. They’re not always ‘on brand’ – but each one of these have done very well for me. Be courageous and experiment with different looks and feels. I personally want my pins to be able to “go” as many places as possible, so create pins that will appeal to different people – when one article could appeal to men OR women for example, it’s best practice to create a feminine version AND a more neutral or masculine version as well… get that post in front of as many eyes as possible! You might just stumble on a new design of pin that does WAY better for you than the branded version you’ve been using for the past 6 months! But, you REALLY CAN improve your traffic if you spend time in the Pinterest platform. Pinterest has one bottom line… and that’s to make money. What makes Pinterest money? People USING Pinterest. I’m not saying that you have to pin each and every pin manually (although I do), but you DO need to be active on the platform every day (or at least a few times per week) if you really want to see great traffic from Pinterest. We are just naturally more likely to do things that Pinterest likes when we pin manually. Things like pinning multiple related pins in one sitting, and pinning related third party content as well as our own content. These are things we don’t even realize are beneficial – but they are! I spend a few minutes each morning and evening pinning third party pins and my own newer pins to my own boards (with the app on my phone), and in the afternoon or late evening I pin MY most popular pins using the strategies I outline in my book. …but I’m also pretty addicted to my pageviews, and I CAN NOT replicate this Pinterest success with a scheduler. I LOVE that my ad income from Pinterest pageviews alone is more money than I used to make at my day job. If you’ve been putting pinning on the back burner and only pinning using a scheduler, I strongly recommend you give manual pinning a try! To me, the effort of working on Pinterest is totally worth it. Hi, I’m Carly the mommy. I’m on a new adventure with the Squishy Baby, figuring out this mommy thing one day at a time. Raising little people while keeping our homes and finances under control might be a challenge, but it’s one I’m excited to tackle… and I want to encourage you to tackle it too. I share awesome blogging faqs here! And you can follow me on Facebook and Pinterest too! I recently started working on my Pinterest account to build up the numbers and eventually get more traffic to my blog. I know it works because I see bloggers like yourself doing it. I’m just still learning it all and building. It is a process and you need to follow the right process, right. Pinterest has such powerful potential for traffic. Thank you so much for sharing your tips here! They’re helpful! I’m a new blogger having just launched earlier this month, and I am thrilled to read you advice here, and I think you are right on. I have not looked into any schedulers as of yet, but I have been doing exactly what you said to do in that I am USING Pinterest all day long. Whenever I have a minute, I am pinning. I did join several group boards, and I don’t have very much of my own contact to pin yet. But I pin to my own boards, to the group boards and from the group boards. And it is working! In the last 3 weeks, my Pinterest monthly viewers have increased from 11K to over 200K….! Now if only my blog had that much traffic!!! In your article above, when you speak of page views, I am assuming you mean for your blog, correct? Not Pinterest page views? Thank you for sharing! I have been blogging @ Famlee of four, for a year trying to figure how to get more traffic from Pinterest?. It always comes down to what is important and what is wasting my time. I purchased your book and looking forward to implementing these strategies, especially different pin variations. Thanks Carly! Thank you Darla! Carly’s book is great! Great post, Carly! Suzi, thank you for hosting such an inspirational blogger! I have been following the both of you for the past year and it’s just awesome when two great bloggers get together. I love how Carly tells us how to diversify our pins and not have them all look EXACTLY THE SAME. I am totally guilty of this! As a graphic designer, I have my pins all “on brand” with the same look, style and feel. This last week, I began diversifying and I now see why this is key. Thank you!!! I’m new to Pinterest and I haven’t started using Tailwind or BoardBooster, though I’ve read a gazillion articles about those awesome tools 🙂 I manually pin my Pins and I’m kinda encouraged to see that I haven’t been so off with that strategy! Super job Carly and great collaboration, Suzi. Love this. I use a combo of tailwind and manual pinning, and it seems to be working well. Even if I schedule everything for the day, I’ll still go in and see what’s going on and do a bit of manual pins. Why? Because I get some super ideas on here for blog topics and pin layouts. Hi Carly and Suzi!! Thank you for such a clear, helpful post that was definitely bot the usual Pinterest tips we’ve heard before. I’m so glad you debunked the Pinterest board cover and board organization myth. Yes, I’m going to stop wasting time on this immediately. I’ve only just started using Tailwind. But I’m going to keep up with my manual pinning. Thanks again! The biggest mistake I made with my own mommy blog was sharing too much information about crochet lingerie and not enough about my feminine viewpoints. Carly – Thanks for the tips. I’m definitely guilty of pin branding. Sigh. I need to come up with a few different pin templates. I love templates because they save so much time. I’m also guilty of scheduling. Another time saver. Lately I’ve been scheduling AND manually pinning. Guess what? My Pinterest stats are up. So you are definitely right. Manually pinning is a must do. I totally agree with these mistakes that Carly lists! I am like you, Suzi, I like to schedule out my pins just to make sure I have my bases covered in case life gets crazy & I am not able to get on Pinterest! But when I do have a chance to get on, I am able to see what if performing well, & am able to manually pin content that is trending while it is still hot. I also agree with not having ONLY branded pins. Not only can Pinterest think they are the same, but even users can feel like they have already clicked thru that pin because it looks so familiar. Number two is something I want to start doing more. I have noticed when I switch up my look that I gain more even if it is from the SAME post. This is has been super helpful! You and Carly are huge inspirations to me! I only recently started using Pinterest and I’ve had many people tell me to use a scheduler, however, I feel using a scheduler is less personal. Thank you so much for clarifying that I’m doing something right ? how do you manage time by manual pinning? As a momma with 2 little ones I don’t have much time! I’m so glad I found this! I started using Tailwind and lost 7 followers… has anyone else had this experience? I’ll take any advice I can get!